then in that case the Macbook Rental Dubai would be a viable choice for you as the Macbook has been preferred to be a close companion to them as the entire device comes with a very razor-thin and sleek module which can get into any bag with ease. Since Macbook is powered by Intel Core i5 processors, 256 gigabytes of SSD storage and 8 gigabytes of RAM, it becomes a most versatile device for an entrepreneur to perform the multi-tasking without much hindrance. VRS Technologies have always been ahead in the digital market and spearheading itself in the Macbook rentals in Dubai, UAE. 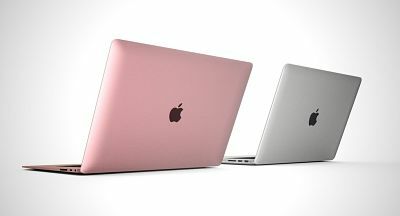 We have always offered the most latest and the updated variant of Macbook at our digital stores which are available for rent for the unlimited time period. The Macbook rental module that we offer incorporates the most recent apps embedded in it which allows you to stay connected with emails. With the seamless network connectivity, you can eventually browse the web and at the same time you could possibly have a video call with your friend or with any of your family members while on your business tour. We are the most preferred rental vendors for Macbooks in Dubai, UAE as we are also engaged in delivering the technical support for the Macbooks when taken on the rent for a specific time period. This technical support could mostly involve the online way to resolve the technical glitch. In the event that you are a frequent traveller and you are keen to have a Macbook, which could enable you to stay connected with your official assignments and also with the family members, in this scenario, you can always rely on us for the same as we rent out the Macbook for your accomplishment. Get in touch with us at VRS Technologies, at the same time you can call us at 00971555182748 or 04-3866001. In the case that you wanted to have more information regarding the wide range of Macbooks, you can surely visit our official website at www.vrscomputers.com.